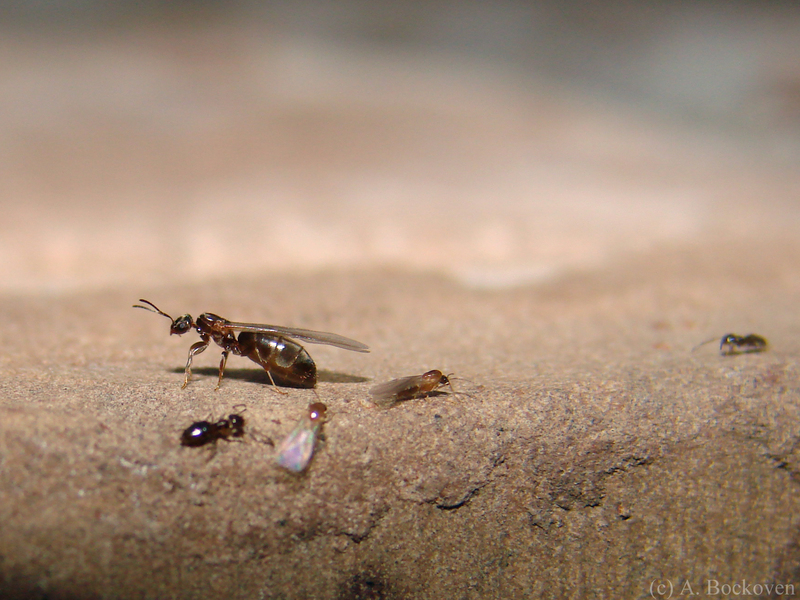 Male and female alates prepare for a mating flight while worker ants stand guard (Brachymyrmex). Earlier this week I was treated to my mailbox colony of Brachymyrmex (no official common name, but around here we call them sugar ants*) throwing a mating flight party. They live in the bricks of the mailbox, so the whole exterior was aswarm with the winged male and female sexuals (alates) as well as an abundance of defensive workers, guarding the reproductives as they prepared for their flight. I was particularly taken with the tiny frenetic males, who were adorable in their yellow-orange splendor and half-pint size. 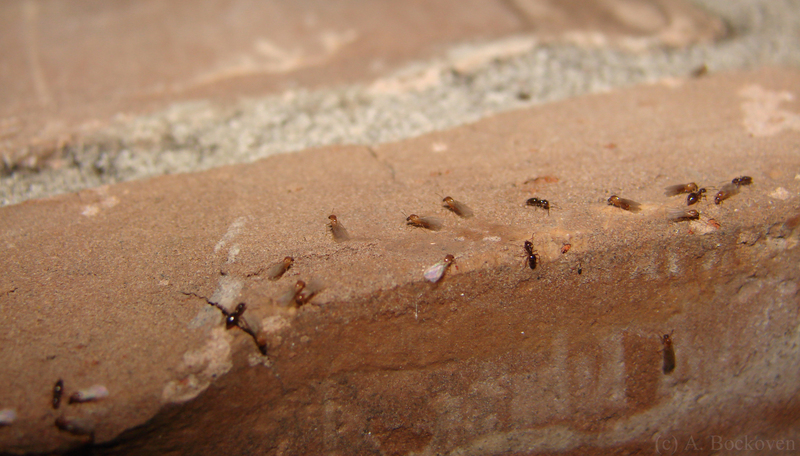 Winged male sugar ants (Brachymyrmex) swarm in preparation for a mating flight, under the guard of workers. 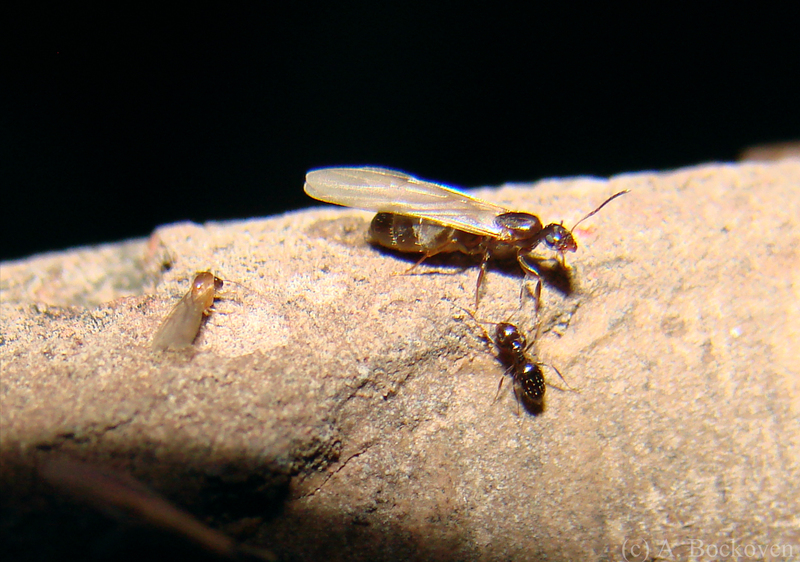 In most species, male and female sexual ants are fairly easy to distinguish. 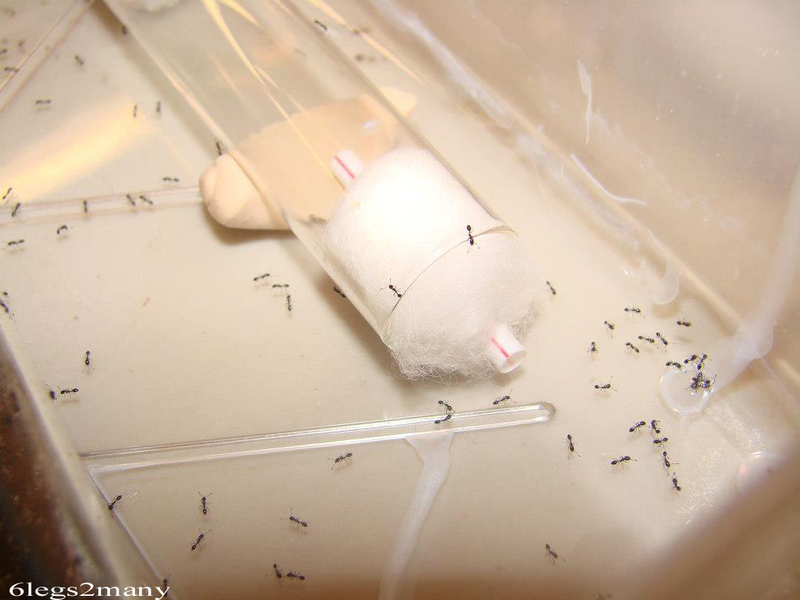 While both genders have enlarged thoraxes to host their wing muscles, the females, who will go on to be queens, tend to be larger, with swollen abdomens the better for mass-producing eggs. The males, on the other hand, are essentially one-time sperm-transfer units. 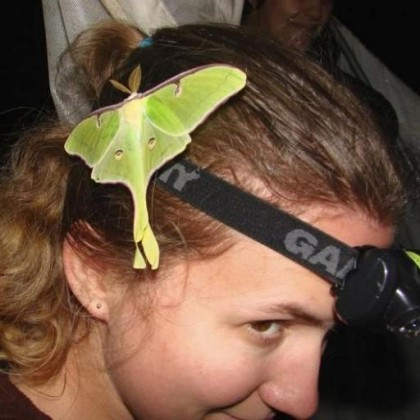 They will mate (if lucky), and then die. In this simple role, they don’t need all the complicated mental circuitry of the future queens, so they also tend to have smaller heads. As the joke goes: Big shoulders, tiny brains: that’s how you know they’re males. 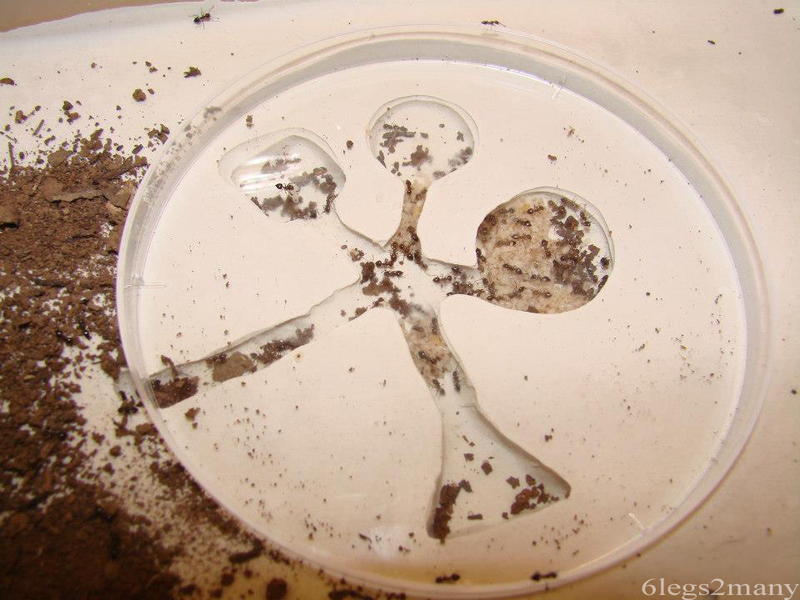 Sexual male and female sugar ants (Brachymyrmex) with sterile worker. 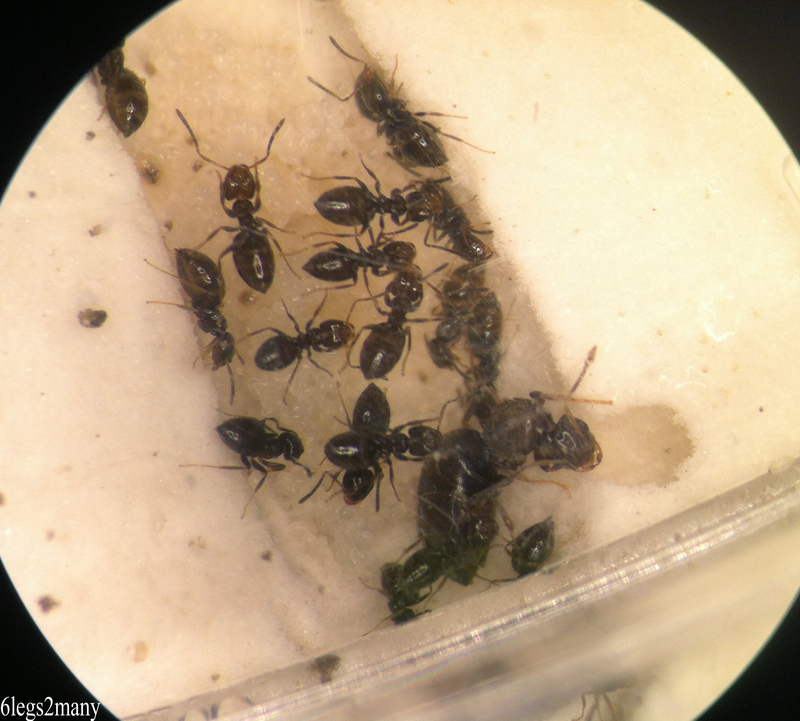 *edit:* Thanks to Danny McDonald for pointing out the the common name ‘rover ant.’ The Brachymyrmex species B. patagonicus is invasive in the United States and becoming an increasingly common nuisance pest in households. 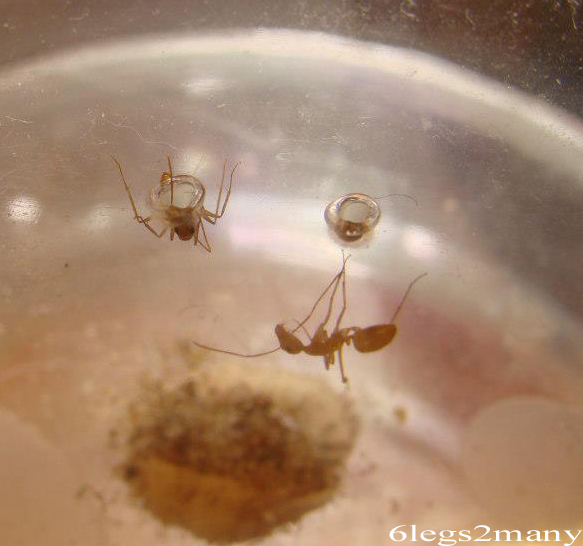 Also check out Alex Wild’s excellent pictures on Myrmecos, including a mating pair.